Dollis Hill, London based American Emmanuel ‘Manny’ Oshunrinde feels that he has a point to prove when he returns to York Hall to face Sam Couzens, at the Graham Earl Promoted ‘Redemption Day’ double title headlined event, on Saturday 7th May 2011. 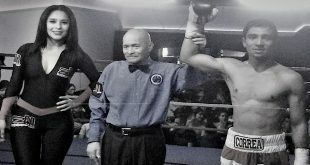 Back in January, at Graham Earl’s ‘Capital Punishment’ event, Oshunrinde plain outclassed and out punched Jahmaine Smyle until the referee called a halt to the proceedings, after just two minutes and eleven seconds of the first round, due to a bad cut over Smyle’s right eye. Oshunrinde’s pure delight at getting his first win on British soil quickly turned to disbelief as the referee then declared the bout a technical draw, claiming the cut was caused by an accidental clash of heads. The only problem is that at no time were their heads in close proximity for the alleged clash to occur. Video replays showed that the damage to Smyle’s right eye, and the heavily swollen left eye, were entirely due to Oshunrinde’s exceptionally long and hard straight jabs. Following a sparring session with Leon Williams, at the TKO Boxing Gym in Canning Town, Oshunrinde spoke of the fight with Smyle briefly before moving on to his upcoming showdown with Sam Couzens on May 7th, “The last fight I was pretty confident before the fight. I trained really hard here at the TKO Gym with Johnny (Eames) and Barry (Smith) as you know. I felt really good, you know Jahmaine Smyle was making out like he was some kind of bulldozer and was going to walk right through me. Tell you what, he couldn’t get past my left hand, so that really proved my critics wrong I guess. It was a pretty controversial night, you know you were right there ringside and you saw the appalling refereeing decision. Anyway I’m putting that in the past because right now I’m looking forward to May 7th when I get to fight Sam Couzens. Hopefully this time I’ll get that KO on my record, that is as long as there is no controversial technical decision, if you know what I mean. I’ve been training really hard and been sparring a big Cruiserweight, Leon Williams, the Southern Area Cruiserweight Champion and sparring’s going great you know. He’s bullying me a little bit but you’ve got to do it and it’s good sparring for me. I’ve also been sparring with another Cruiserweight here, Mitchell Balker, the Dutch guy. He’s real technical, real come forward fighter, real hard worker. They are really putting me through it, they’re two weight classes above me but I’m holding my own. I’m not just getting through it I’m also learning in the process of handling bigger, heavier guys. I’m benefitting a lot from it. I want a KO finish on my record, one that stands, not just that but I want to get my first victory on British soil, so to speak. I’ve had eight fights overseas with eight knockouts, which apparently the British Boxing Board of Control don’t recognise. Apparently the boxing organisation is not recognised by them as a legitimate professional organisation which is wrong as they have been proven to be authentic, but that’s the way things are sometimes. Anyway I am just going to look forward to my next fight. This is my year and I’m just going to rack up all the wins I can get and then hopefully by the end of this year we’re talking titles. 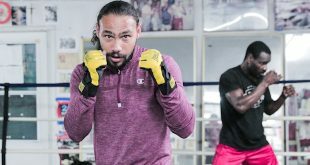 I’m feeling good, I’m with the right trainers, I’m with the right sparring partners and I’m in the right family, the TKO family, which is a pretty good place to be. I’m just looking onwards and upwards and am looking to make a name for myself. Manny Oshunrinde, against Sam Couzens features on the Graham Earl promoted ‘Redemption Day’ event which is co-headlined by fellow TKO Boxing Gym mate Leon ‘Solid’ Williams who defends the BBBofC Southern Area Cruiserweight title against Danny Couzens at York Hall in Bethnal Green, London on Saturday 7th May 2011. Co-headlining will be the eagerly anticipated Paul Morby-Daniel Cadman rematch for the Southern Area Super Middleweight title. Heading up the support card for the two title fights sees the sensational former English Light Welterweight title challenger Michael Grant making his first appearance as a Lightweight. 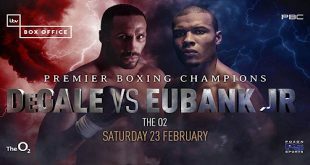 In addition to Michael Grant, Graham Earl has lined up a seriously strong undercard featuring some of the Country’s most exciting young warlords. 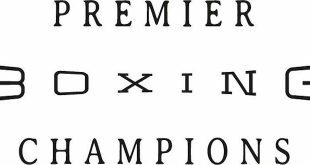 Graham also has his exciting Light Welterweight Terry Holmes out for his third professional bout, against a yet to be named opponent. Holmes has proved to be nothing short of sensational on his two previous outings and Graham has big expectations for the heavy hitting nineteen year old from Stevenage. Another big hitter, Belfast’s Joe Hillerby, will also be getting his third outing. Hillerby, who debuted in October 2010, has made quite an impact on the scene. No surprise really, after all he is an all action heavy hitter with a knockout finish, as proved on his debut against Gavin Putney, which lasted just 43 seconds! His second fight, against super tough Ryan Clark, lasted the full course and turned out to be one of the most action packed fights of the night at Graham Earl’s excellent ‘Capital Punishment’ event back in January. Lowestoft Featherweight Craig Poxton will be looking to get back to winning ways, following his loss to Youssef Al Hamidi a year ago. Making their professional debuts at ‘Redemption Day’ are Belfast’s Mark Ginley, Heavyweight Scott Whyley whilst former Armed Services boxer Sam Standing will be joining his TKO Boxing Gym mates Williams, Grant and Oshunrinde on the show. Tickets for the Graham Earl Promoted ‘Redemption Day’ event at the York Hall, Bethnal Green, London on Saturday 7th May 2011 are now on sale and priced £35 (Unreserved) or £60 (Ringside). For tickets call: 07960 850645, book on-line at www.tkoboxoffice.com or call in person at The TKO Boxing Gym, Gillian House, Stephenson Street, Canning Town, London E16 4SA.